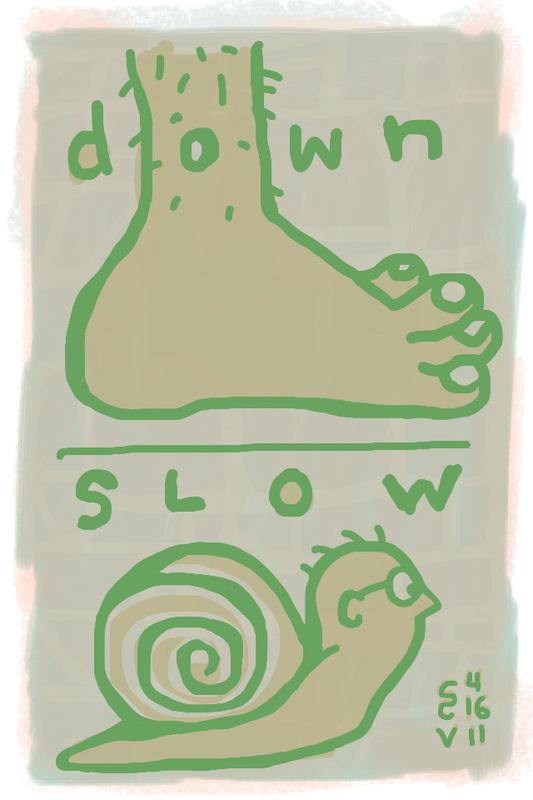 I was inspired to make this iPhone drawing when I almost stepped on a beautiful little green-striped snail making it's way across my driveway yesterday. 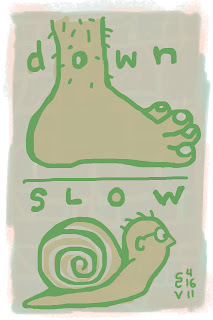 I had just come from a yoga class so I was already thinking about slowing down and noticing the world. I picked up the little critter and put him in a flower bed. This morning I checked and he or she had moved on.